Owning a pool is one of life’s great milestones. You’ve worked hard to get to where you’re at, and you want to treat you and your family to the good life. You can while away the hours on your inflatable deck chair, sipping on a beer, and listening to your kids have the time of their lives. Sounds perfect, doesn’t it? Unfortunately, the reality of owning a pool can be quite different if you don’t have the right equipment. A high-quality pool pump is probably the most important piece of kit you can invest in to keep the dream alive. Without a high-quality pump, you’re going to end up with a green pool that’s full of debris. Not only will that make the pool unpleasant, but it can also actually be pretty dangerous. So, you owe it to yourself to invest wisely. Of course, there’s a temptation to go with a cheap option, but this can often end up costing you money in the long run when you have to replace filters and get the pump fixed. So, we’d recommend investing a little bit more money and buying a pool pump that can circulate the water in your pool efficiently and consistently. 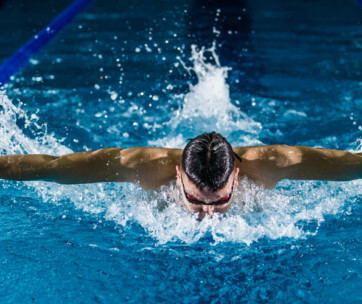 At the bottom of this article is a Buying Guide section that will explain how we chose the 12 best pool pumps, and also a few of the key phrases that you’ll come across in your search. 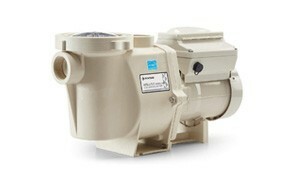 The first pump on our list is the Intex Krystal Clear Sand Filter Pump. It’s actually designed to be used with Intex swimming pools but will work as an excellent upgrade for pretty much any above ground pool. A pool is a luxury item, but it can quickly turn into a nightmare if your filter isn’t working correctly. You can end up with a pool full of debris, a tiring maintenance regime, and a huge electricity bill at the end of it. Investing in this filter will help you avoid all of that. The first thing that we love about this product is the fact that it uses sand as a filtration agent. It provides excellent water filtration and requires much less maintenance than cheaper cartridge filters. In fact, you should only need to change the sand once every five years. It has a 6-function control valve that allows you to filter, backwash and rinse, recirculate, drain, and close the system. While it might only have one speed, this gives you an excellent amount of control and works with the 24-hour timer to make this pump hassle-free. It has a flow rate of around 40gpm (gallons per minute), but it’s doesn’t have variable settings so it’s not the most energy efficient pool pump. However, it’s going to be a damn sight more efficient than a cheap cartridge pump and you should be able to make back the extra money within a few years. Be sure to combine this with cool above ground swimming pools from our list. Hayward is a pretty well-known brand in the world of pool pumps. Not only do they make some of the highest-quality pumps, but they also make everything else you could ever need for your pool. The Hayward SP2610X15 is also known as the ‘industry’s workhorse’ because of its reliability, efficiency, and proven track record as an all-rounder. To see what we mean about its proven track-record, take a quick look at the Amazon reviews. It has over 1,500 reviews and only 12% of them are negative. That’s a really impressive record for any product, but especially one that has lots of moving parts and requires maintenances. It’s designed to work in any size of inground pool or spa, but it’s probably too powerful to put in a small hot tub. The motor is a heavy-duty, high-performance motor that has air-flow ventilation to keep it quiet and stop it from overheating. It’s also designed to produce higher flow-rates whilst still being energy efficient. The strainer cover is see-through, so you can simply take a look and see if it needs to be cleaned. Plus, the swing-away hand knobs make the strainer cover easy to take off, without the need for any tools. The basket itself is 110-cubic-inches, much bigger than its competitors, to reduce the amount of maintenance needed. The bottom line is that this is a high-quality pump that will last you for years to come. If you have an in-ground pool and want to invest in a well-made, reliable pool filter pump, you’ve got to consider a Hayward. The Intex 28633EG is the cheapest pool pump on our list. We warned against buying cheap pool pumps in the intro to this article, but we think this pump is actually pretty good for the money. Sure, it’s can’t compete with the premium swimming pool pumps on the list, but if you’re looking for a budget option, this is the one for you. It’s a single speed pump that is specifically designed for above ground pools. To install it, all you have to do is attach the hoses and plug it in, and you’re ready to go. However, there is a small amount of assembly required when you get it out of the box. It’s also easy-to-use. It has an auto timer with presets from 2 to 12-hour cycles, so you can set it up and leave it running. That means, over time it’s going to cost you more in electricity bills than a variable speed pool pump would. It comes with one easy-to-clean, replaceable filter cartridge. Realistically, you’re going to have to change the filter regularly to keep your pool in good condition, but that doesn’t stop this from being a reasonable budget option. It’s best for use on hard-sided pools, instead of inflatables, because the pumps have too much power not to be mounted. So put on your swimming trunks and enjoy the pool. The Wayne 57729-WYNP offers something a little different. It’s not your classic pool pump because it doesn’t circulate the water inside your pool. Instead, it’s designed to stop the water building up on top of your pool cover. Any pool owner will know how frustrating it is when you go to take the cover off and it’s full of dirty water. It can really ruin the experience of owning a pool. This pump sits on top of the cover and automatically pumps the water away from the pool. It has an automatic sensor that detects the presence of water over a certain level. Inside is a ‘strainer base filter’ that minimizes clogging and stops the pump from tipping over. It’s energy efficient, doesn’t use any oil, and can pump up to 3,000 gallons an hour. Plus, it has anti-freeze protection built into the iSwitch technology, so you can leave it out over the winter and not worry about it freezing up inside. 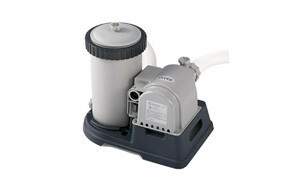 The Pentair 340039 Pool Pump is another single speed pump for use in-ground pools. It sits nicely in the middle of the price range for high-quality pumps. You can spend a lot less money on a pump, but this one is designed to last you a long time. It has a 1-½ horsepower, heavy-duty flange pool motor that is designed to pump water more efficiently without increasing the operating cost. It’s also surprisingly quiet, thanks to the new flow design that reduces the noise of the hydraulics. It might be called a Pentair pump, but underneath, it’s actually another Hayward pump. It has the same oversized strainer basket and see-through cover that makes maintenance easier and less time-consuming. Unlike some cheaper in-ground pool pumps, this one has self-priming, which makes the set up easier and quicker. However, you’ll still need to have it professionally installed, unless you really know what you’re doing. This is a great inground pump and it comes with a 1-year warranty – the only thing that would make it better is if it was a variable pump or even a two-speed pool pump. This makes a perfect gift for swimmers in your life. Up next is the Little Giant APCP-1700. Like the Wayne 57729-WYNP, it’s designed to remove the water from the top of your pool cover, instead of circulating the water in your pool. It has a similar system that detects the standing water and automatically turns the pump on when it needs to remove the water. This pump actually turns on in 2 inches of water, which is 1/8 of an inch lower than the Wayne pump. 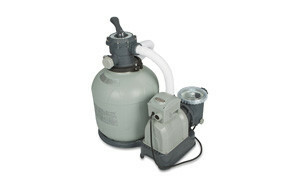 The difference with this pump is that it has a removable intake screen instead of a strainer base filter. Effectively, it does the same thing, in that it makes it much easier to clean and maintain. We can’t be exactly sure which pump is easier to operate, but they both seem to work really well. The main advantage of this pump is that it comes with a 3-year warranty. That means you get 3 seasons of swimming to see if this pump works for you. The pack comes with a ¾ inch Garden hose connection and a 25-foot Power cord. The only problem is it doesn’t have the freeze protection that we saw on the Wayne pump. The Hayward SP15932S Pool Pump is one of the best value dual-speed pool pumps for above ground pools. 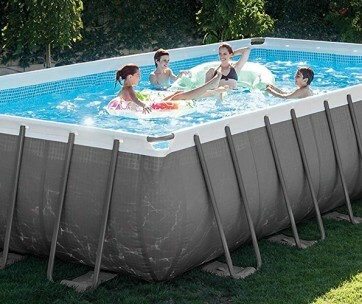 They say that it’s also suitable for on-ground pools, which are semi-inground. Basically, it isn’t self-priming, so it can’t pump water vertically, but if you can put your pump below the pool, it will work. \The best thing about having two speeds is that you can save on energy costs. You can pump on a lower setting when you’re not using the pool, without using too much electricity. This makes it the most efficient pool pump for above ground pools we’ve featured. Because of this, you’ll probably save money over time if you buy this instead of a cheaper single speed pool pump. It’s got an industrial-size strainer basket, which means it can collect a large amount of debris without you having to clean it out to often. Plus, the heavy-duty motor has an automatic thermal overload protector to stop it from overheating. This is an essential feature of swimming pool motors that last for years. 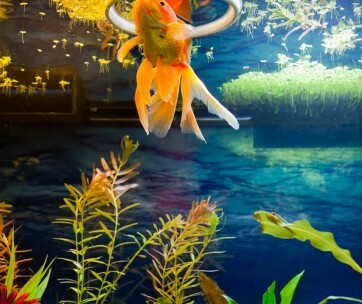 Make sure you also check our guide to the best aquarium air pumps. The Pentair 011018 is the unmistakable premium choice pool pump on this list. We couldn’t choose it as our Best Choice because the price puts it out of a lot of people’s price range, but we think it’s the best pool pump out there. At nearly $900, it’s a lot more expensive than a lot of the pumps out there, and there are a few key reasons for the big price tag. The first, and main, reason is the fact that it has the variable speed system. It has 8 programmable speed settings and a built-in timer that allows you to choose the perfect amount of pumping that your pool needs. Not only does this provide you with the cleanest possible pool, but it should also save you money. Pentair claims that it can save you $1500 a year, but we’re not sure on the exact number. That’s why the premium price tag is completely justified, over time it could end up being a great purchasing decision. It’s dramatically quieter than other pool pumps (as low as 45 decibels) and has built-in diagnostics to make sure the motor lasts for a long time. The Wayne WWB WaterBUG is an interesting addition to this list because it’s not strictly a pool pump. Instead, it’s designed to pump water out of areas where it’s not needed. The reason we’ve included it is because some people will come to this list thinking that a pool pump will be able to help them out if they have a flooded basement or yard. Those people would be right, but this is a much better and more affordable option. It has multi-flow technology, which means it can either discharge from the top or the side of the unit. The reason this is useful is that it can pump flat open surfaces with the side discharge, and it can also pump small areas like a window well with the top discharge. It has a maximum flow rate of 1257 gallons of water an hour and pumps it right down to a 1/16 of an inch, which is virtually dry. The multi-ring suction strainer filters debris out and stops the unit from clogging. Having said that, you will still need to clean it out regularly if the water you’re trying to pump has debris in it. The Harris H1572730 ProForce is one of the best mid-range above ground pool pumps. As they say in their description, it provides great performance and results but without the large price tags from the big-name brands. If you need a high-performance pump, but don’t want to spend too much money, this is the one for you. It has a stainless steel 1.5 horsepower motor shaft, which is reinforced with a thermoplastic body. This makes the pool booster pump last for longer, without corroding or getting damaged. The way that it’s engineered makes it pretty efficient but without making too much noise. Having said that, it’s not the most powerful or the quietest, but for the price, it’s pretty good. The strainer basket is large and relatively easy to clean, which is important because you’ll have to clean it out pretty regularly. Overall, we think this is a really solid above ground pump. The only problem with it is the power cord is only 3 feet long, so it’s going to have to be very near to a power source. The Pentair 342001 Pool Pump is another premium pump that can be used in pretty much any standard pool. Like the Pentair 011018, it’s considerably more expensive than most single speed pump but can save you money in the long run. This pump is actually 80% more energy efficient than single speed pumps and can save you an average of $0.16 per kWh in a 20,000 gallon. It’s the only pool pump of its kind that doesn’t require a costly installation that includes rewiring. That’s because it runs on 115- or 230-volt power and is has an easy-to-access wiring compartment. This is another reason why it might be a better option to spend extra money on the initial cost instead of going for a cheaper, more complicated option. It’s got a digital display that makes it really easy to programme. You can choose from three-speed settings and set it with a real-time clock with 24-hour memory retention. So, essentially, you can set it up at the start of the summer and leave it to work. The other main benefit is the quiet TEFC motor. Like the other premium pump from Pentair, this is an extremely quiet and effective pool pump. The last pump in our list is another one from Hayward. The SP2302VSP is one of the industry’s most energy-efficient pool pumps, and it’s a bit cheaper the two premium Pentair pumps we’ve featured. It’s got a variable motor and it’s designed for use in in-ground pools. The TEFC motor is very similar to the Pentair 342001, which makes it super quiet and efficient. It also offers incredible efficiency and reliability, which is why it warrants a higher price tag than the single speed pumps. The basket to collect debris is extra-large, so you don’t have to clean it too often. Plus, it has a built-in time clock that makes it easier to programme than basic countdown timers. In fact, the Max-Flo VS technology lets you customize the speed, duration, and priming to find the perfect settings for your own pool. The only problem with this pump is that there have been some concerns raised about the quality of the bearings. There are quite a few reviews on Amazon saying that it has worked perfectly for two years and then given up. Reviews – When you’re shopping for something like a pool pump, a lot of the products seem to have the same features and benefits. They all do essentially the same job, which means it can be difficult to find out which one’s the best. That’s why we focus a lot of our attention on reviews. Amazon reviews are a particularly rich source of information about a product. You can always trust a customer to give their honest and unedited opinion about a product they have spent money on. Of course, we don’t believe every word we read, because some customers are just there to complain. We also check out some professional reviews, to see what other experts are saying about a product. Price – Just because you’ve got a pool, doesn’t mean that you’ve got unlimited resources to spend on a pool pump. We understand that everyone has different budgets and we try to cater to that. However, we haven’t included really cheap pool pumps just because of the price. There is a basic level of quality that you need in a pool pump, otherwise, it won’t work properly, and you’ll end up spending more money in the long run. Single Speed – Single speed pool pumps only have one speed. That means that the rate at which they pull water through the pump is fixed. These pumps are often cheaper to buy in the first place and are more suited to smaller pools and hot tubs. The disadvantage of buying a single-speed pump is that you have no control over the circulation. That means you can’t choose a higher setting to clean it out quickly and you can’t put it on a lower setting to improve efficiency. Dual Speed – Dual speed pool pumps have two circulation settings. These are usually slightly more expensive and give you the option of a low or high setting. This gives you more control over your pool’s circulation so that you’re not wasting money when the pool isn’t being used. Variable Speed – Variable speed pumps have an adjustable speed setting so that you have complete control over your pool’s circulation. This is the most advanced type of pool pump and comes with the highest price tag. But, over time they could save you money. They are, by far, the most energy efficient way to pumping your pool water, because you can set the pump at a lower circulation setting without any added energy. Flow Rate – The flow rate is the number of gallons the pump moves every minute. Most manufacturers don’t post the minimum and maximum flow rates of their pumps. Self-Priming – Self-priming means that the pool-pump has the ability to lift water vertically. Most pool-pumps (especially in-ground) are self-priming but will require priming before their first use. Check out the user manual for more information. Pre-Filter – A pre-filter is an added filter in the pump system that collects debris and cleans the water. The added pool filters make the pump more effective and mean that it requires less maintenance. Above-Ground – Above-ground pool pumps are cheaper and less powerful. They are designed to have a flow rate of around 30-60 gpm (gallons per minute). They are designed for above ground pools because they don’t have the ability to lift water vertically. Instead, they sit at ground level and let gravity do the work for them. In-Ground – Inground pool pumps are more powerful and more expensive. They are self-priming and are designed to have flow rates of around 75-150 gpm. They are suited to pools that are at ground level and need the water to be lifted.